The decision to have surgery is never an easy one. However, if your doctor recommends you undergo back surgery, it most likely means that other non-surgical treatment options either failed or won’t help your particular case. Don’t worry – having back surgery is an opportunity to get rid of pain and get back to your normal life. 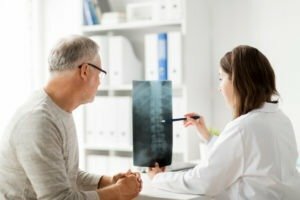 There are different kinds of back surgery, and we explained some of them in one of our previous articles – Different types of spinal surgery. In this article, we will talk about things you need to know before back surgery. Having this knowledge will not only help you make an informed decision, but will also give you peace of mind. The decision about back surgery has to be based on many factors, with proper diagnosis being the main one. It is important to find a doctor who will do everything he can to evaluate your condition and diagnose you in the right way. Don’t leave finding the best doctor to chance. This is YOUR health at stake. Make sure that your orthopedic surgeon is a spine specialist who has a lot of experience with these type of procedures. If you leave in Palm Beach County, we encourage you to see our Orthopedic spine surgeon in Delray Beach – Dr. Matthew Hepler. Dr. Hepler is a fellowship-trained adult and pediatric spine surgeon with leading expertise in the diagnosis and treatment of spine conditions. Following a thorough evaluation, he can help make a diagnosis and formulate an effective treatment plan to get you back on your feet. Most of the time, this can be done with non-operative treatments, including a focused exercise regimen; however, if your condition requires back surgery, you need to make sure it will be performed by someone who you can trust. Less than 10% of all patients with back-related conditions require back surgery? About 400,000 people in the United States undergo spinal surgery each year? If you are suffering from back pain, don’t hesitate: Make an appointment with Dr. Matthew Hepler. He is a leading orthopedic spine surgeon in Delray Beach and Fort Lauderdale with fellowship training in both adult and pediatric spine surgery. To find out more about Dr. Hepler, click here to view his profile.